Made from only organic, plant oils, Baby Mild Pure Castile Soap by Dr Bronner is so pure that it's even safe enough for babies. Baby Mild Pure Castile Soap contains natural oils to clean and soften the skin, including: coconut oil, hemp oil and jojoba oil. It's unscented formula makes it safe enough to use for washing your hands, your face, your clothes and even your baby. Baby Mild Pure Castile Soap is made without the use of animal byproducts and is completely certified organic. 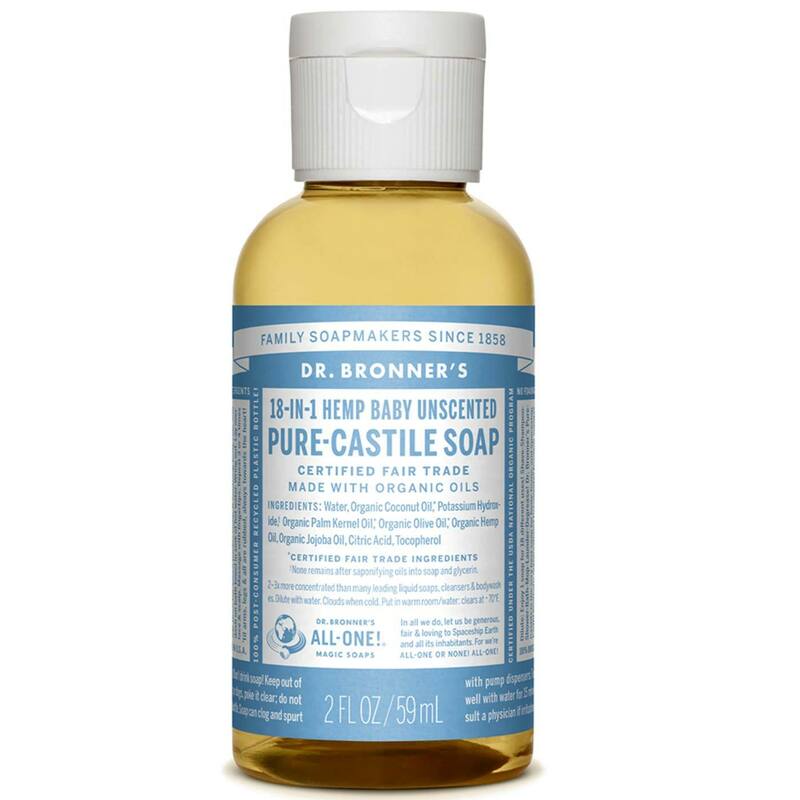 For a pure, natural soap that cleans and softens skin, try Baby Mild Pure Castile Soap by Dr Bronner. Get yours at eVitamins now and save! Ingredients: Water, Organic Coconut Oil, Potassium Hydroxide, Organic Olive Oil, Organic Hemp Oil, Organic Jojoba Oil, Citric Acid, Tocopherol. Baby Mild Pure Castile Soap is very soapy. You only need to squeeze a dime-sized amount in a gallon of water. I washed my hair with it and it soothed my itchy scalp. Love the smell. This Aloe Vera Dr. Bronner's soap definitely gets me squeaky clean. The fact that it doesn't have an overwhelming scent is also a plus. My only complaint is that when I'm done washing with it, my skin feels slightly tacky. But other than that, this is a great product that gets you clean and you definitely can't beat the price.